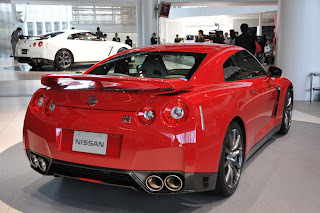 Nissan continues have strong sales in 2011 vs 2010. Their total sales rose 19.2% vs 2010 for a total of 91,541 units. Infinitis sales were down slightly 4.3%, to 9,024 units. Infiniti is still feeling the after effects of the earthquake an Tsunami in Japan. For August Nissan GT-R sales were up to 112 units, bringing the total 2012 sales to 995 units. The 112 sales were a 24.4% increase vs August 2010, and total to date sales of 995 units were a 46.3% increase vs 2010 year to date.